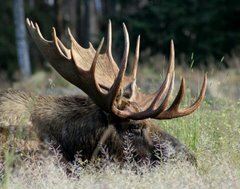 Moose Tracks: Buy A Bitcoin For Over $9K, Or Mine Your Own! Bitcoin and other crypto-currencies built on blockchains have a pretty decent potenital to finally replace fiat currency, which replaced gold, which replaced barter. The "value" is in the whole exchange system, which is decentralized, secure, open, and "smart" (contains logic / algorithms) and best of all, since it seems very likely that the fiat currency providers are all going to collapse, it has no central point of control. Now, if we get blasted back to the stone age, gold is MUCH better, however, barring that, there seems to be solid potential for this over fiat currency, since "the full faith and trust" of BOistan is really not very comforting! Not all that expensive to begin bitcoin mining! Like all mining, there is a lot of risk, but on the bright side you don't have to go down in a dark damp hole.